Fine English 18K gold half-quarter ruby duplex keywind repeater by Arnold, Charles Frodsham, London, circa 1845. 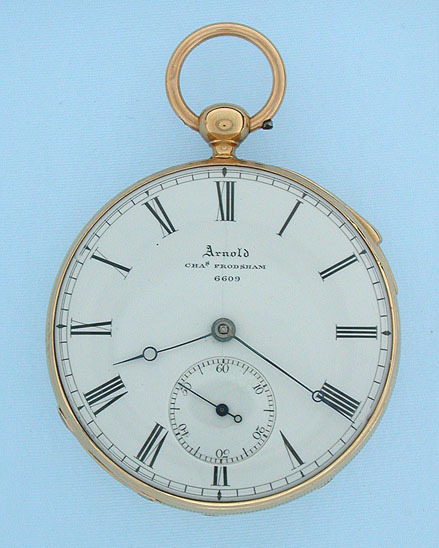 White enamel dial with black numbers and blued steel hands. 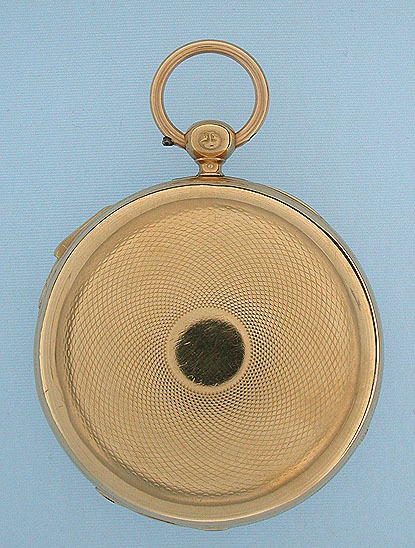 Substantial slim English engine turned case with typical edge pocket wear and slide in the band to activate the repeater. When activated, this watch chimes the time using different chime tones to designate the hours, quarter hours, and 7.5 minute intervals. 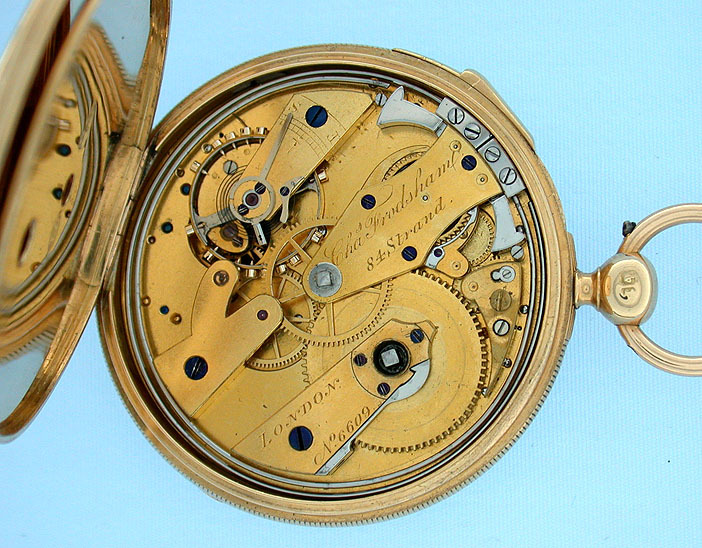 Slim gilt 13 jewel bridge movement with ruby duplex escapement. An interesting and attractive watch with loud clear tone. This watch is interesting because it illustrates the rise of the Swiss watchmaking industry and the concurrent decline of English watchmaking. 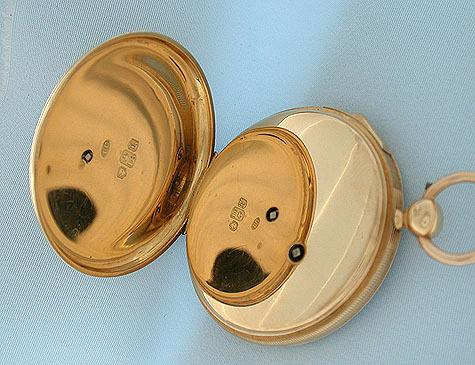 The Swiss were able to expand their market because they were able to make thinner and less expensive watches. In this case, Charles Frodsham, one of the most famous of the elite London makers, rather than use an all English movement, chose to import an unfinished Swiss movement (ebauche) and finish it in London and fit it with a very fine English ruby duplex escapement.